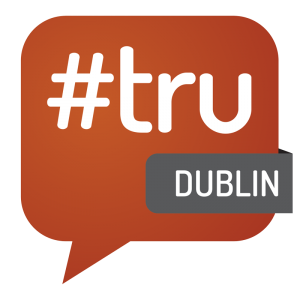 #truDublin is back on 28th of January 2016! The event, the track leaders, the sponsors, supporters and track leaders and agenda are entirely determined by the participants. Participants will come from the people space that is anyone from HR, recruiting, talent acquisition, developers, job board professionals etc., with no bars on anyone taking part, everyone is very welcome. Grab your ticket now, numbers are limited! All we ask is that you register, make a donation of what you think #tru is worth to you and bring your pass with you on the day. Please bear in mind we will be feeding and watering you throughout the day!